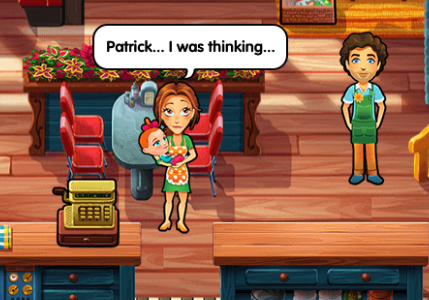 Emily's New Beginning is one of the best time management game where you play as restaurant owner Emily who is facing the challenge to balance work and family life. You have an opportunity to help the young mother of a cute baby daughter. As you play you have to prepare food and serve customers. Can you make his cute restaurant a success? Then prove it. Play Emily's New Beginning for free and enjoy! Use a keyboard to play.